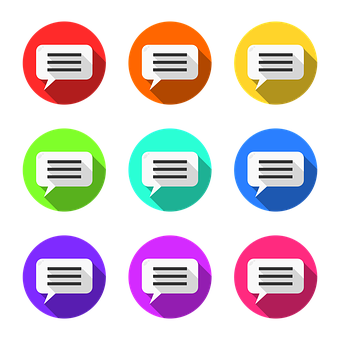 What's needed is a new messaging framework that provides a common, interconnected global messaging ecosystem that will fill the gap between person-to-person (P2P) messaging and application-to-person (A2P) messaging over short codes -- while providing a simpler, faster, and safer two-way communication channel for enterprises and consumers. Unfortunately, the limited supply of short codes -- coupled with a lengthy, complex process of acquiring a code -- is inadequate to meet growing enterprise requirements. Currently, the maximum number of short codes available for use by all enterprises in the U.S. at a given time is approximately 880,000. This number is determined by the number of digits and total combinations possible in the short codes. And, the enterprise needs to set aside weeks for all participating wireless carriers to approve and provision a campaign. In an ideal situation, when an enterprise decides to use mobile messaging to communicate with its customers or employees, it would be able to do so using a single Web dashboard -- similar to management of many cloud solutions these days. Within the dashboard, an enterprise would create a company profile and register phone numbers (fixed line or mobile) for two-way texting use cases with an independently managed system. Once an enterprise registers, the system would ping two parties that can approve or disapprove the use case: the operator and the DID provider. A neutral Web administrator would run this independently managed system, with network access provided by interconnection hubs that abide by FCC and CTIA rules and guidelines. This fast and streamlined process would allow an enterprise to speed up its communications and related transactions, providing a way to integrate A2P messaging easily. Operators would be able to support enterprise-to-consumer messaging -- and the system would also make it easy for end consumers to look up the enterprise sender's identity -- fostering end-to-end transparency. Consumers have embraced mobile messaging as a conversation channel, and enterprises have responded by creating new use cases. This has created a lucrative opportunity for anyone participating in this space -- enterprises, CPaaS providers, and operators -- providing huge revenue potential for two-way enterprise messaging.